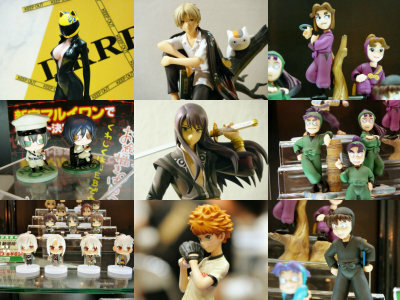 Wonder Festival is admittedly a male-oriented event in that the majority of visitors is male and majority of the products exhibited, namely the numerous garage kits of bishoujo characters, robots, vehicles and weapons, are aimed at male. 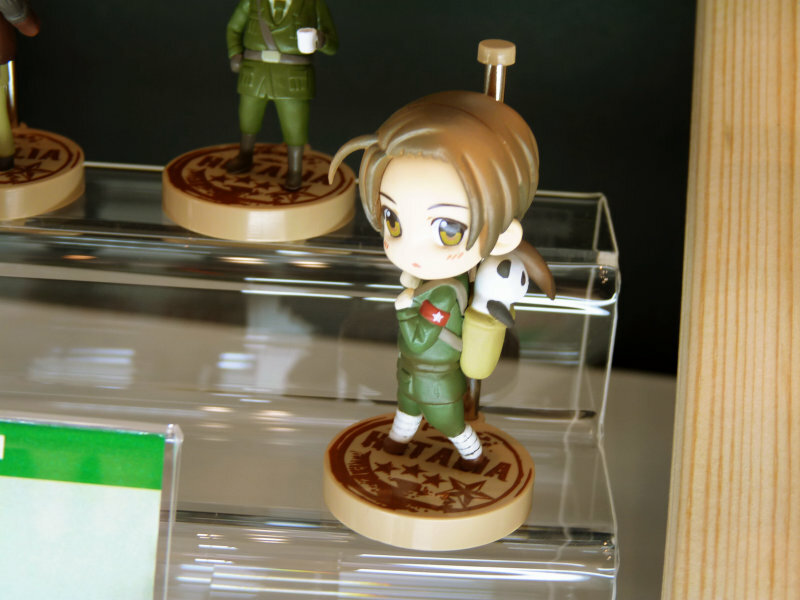 But there do exist female-oriented garage kits. 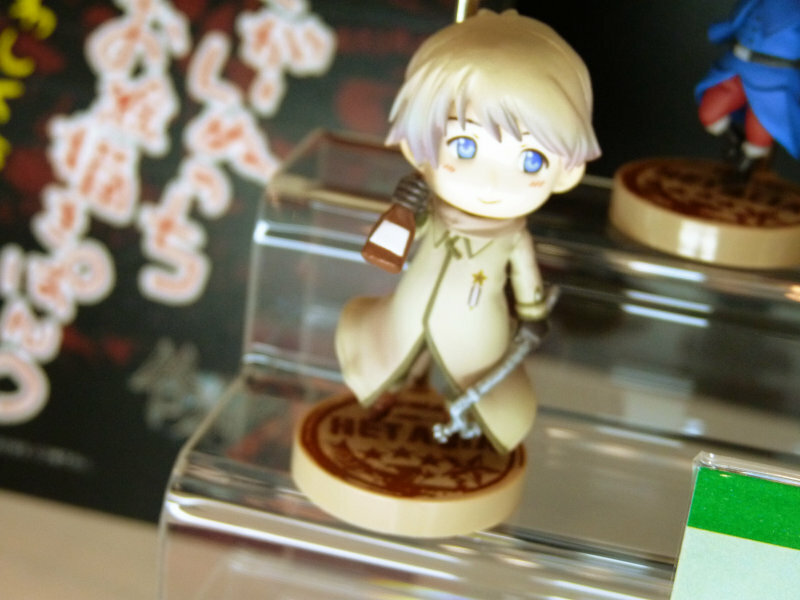 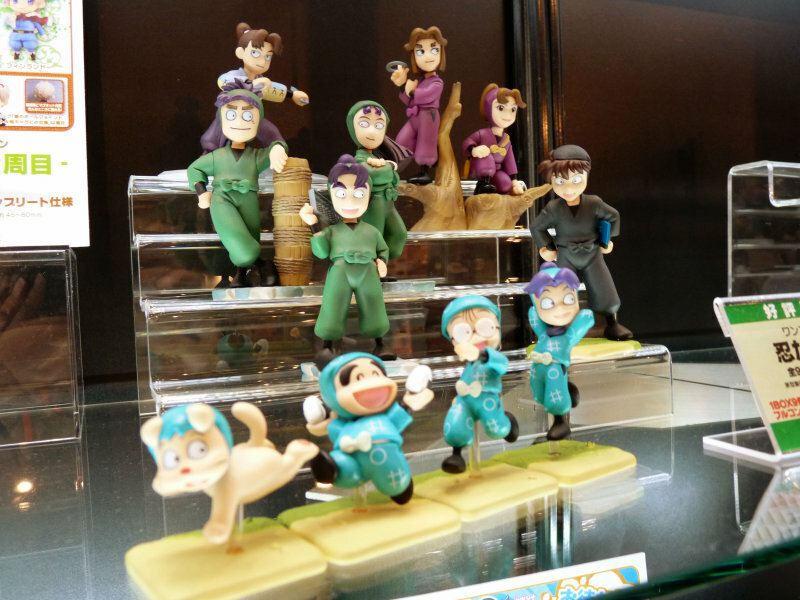 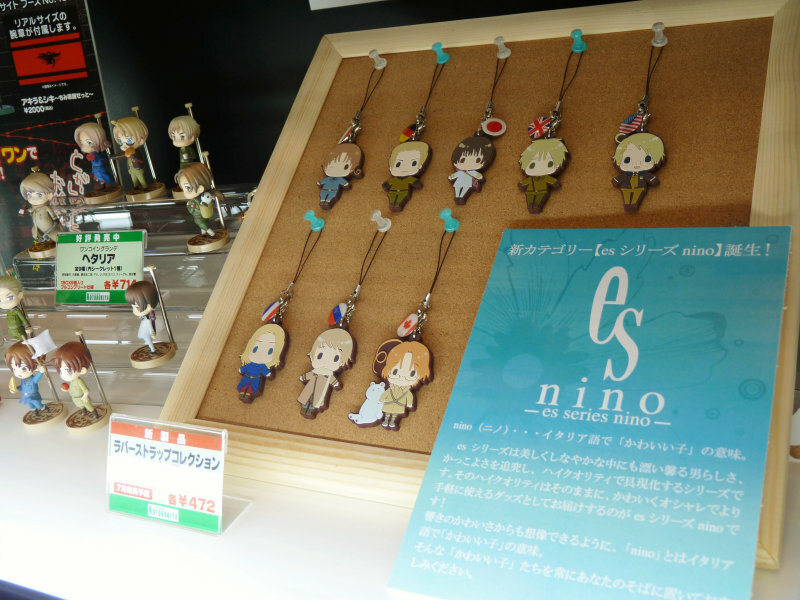 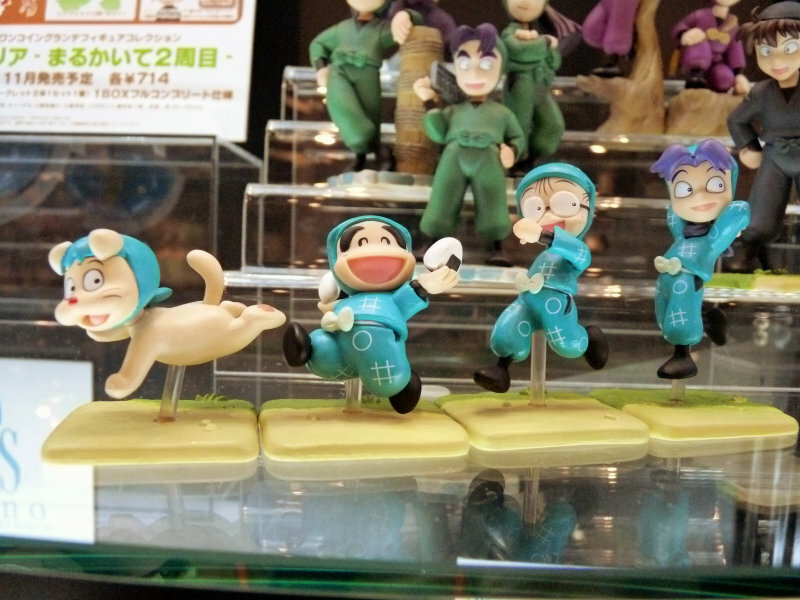 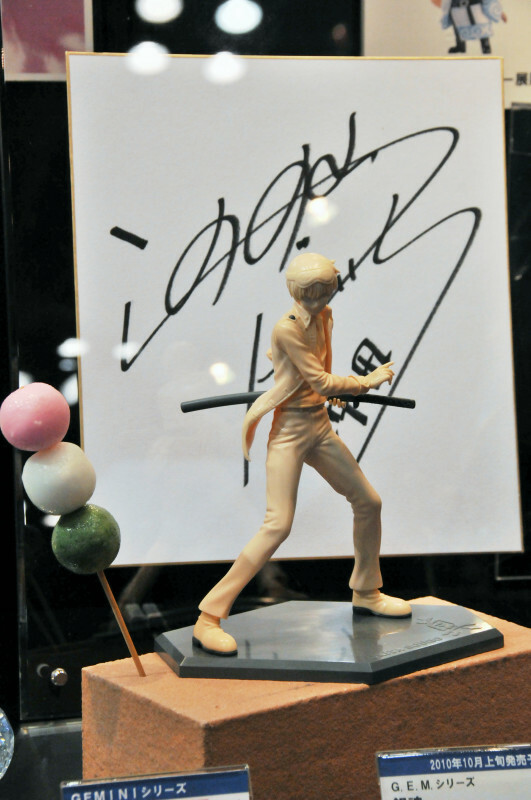 Here are some products we've seen at Wonder Festival 2010 Summer from anime/manga/game titles popular among female audience, including Hetalia: Axis Powers, Nintama Rantaro, Big Windup! 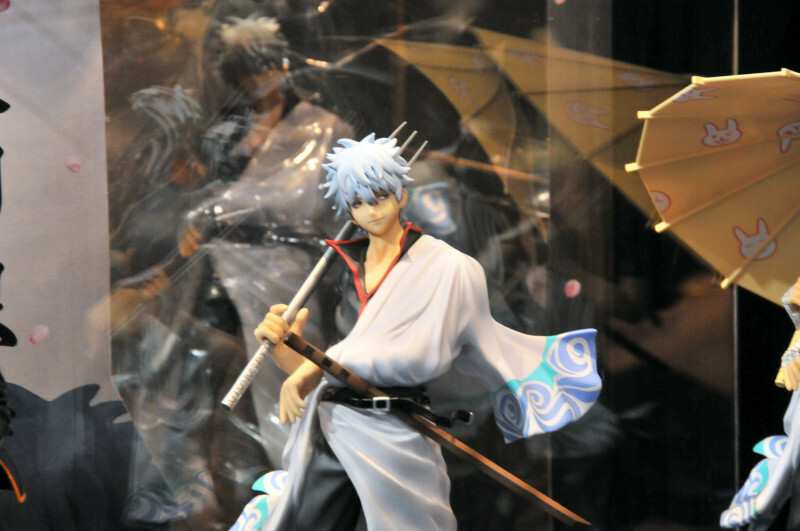 (Okiku Furikabutte) and Gin Tama. 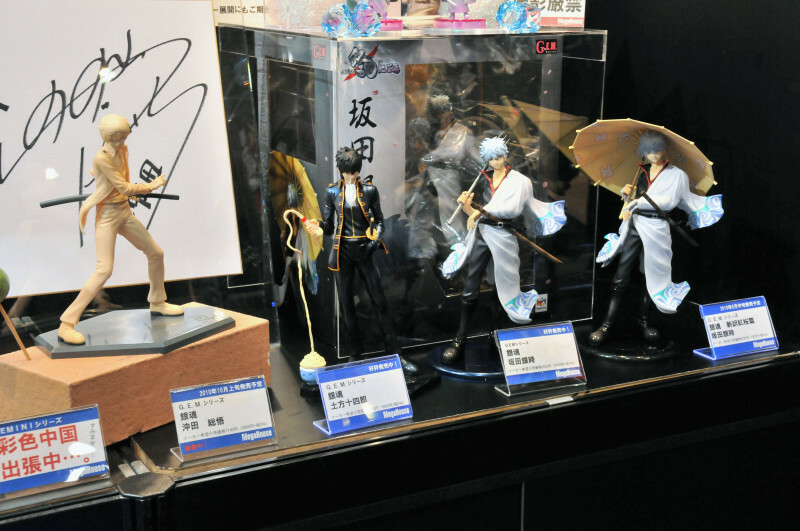 Kotobukiya's booth at Wonder Festival 2010 Summer. 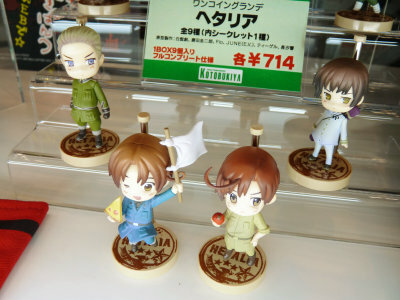 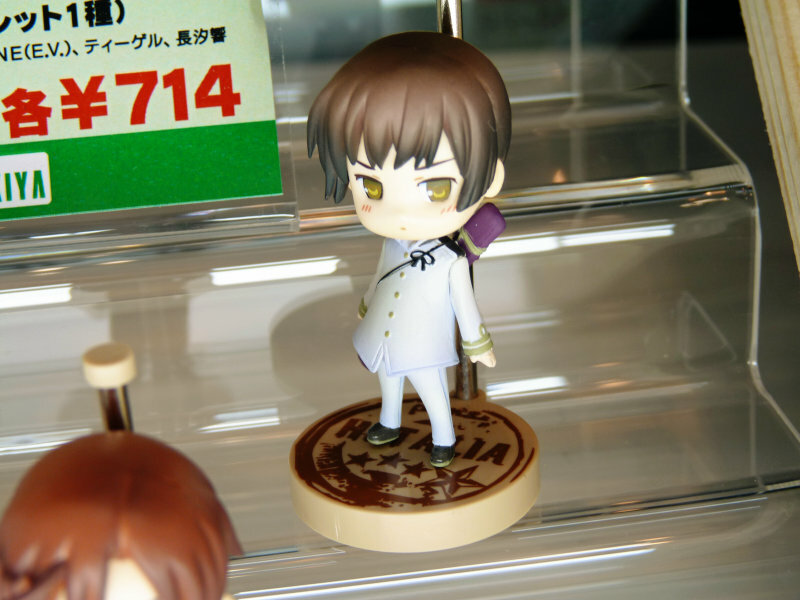 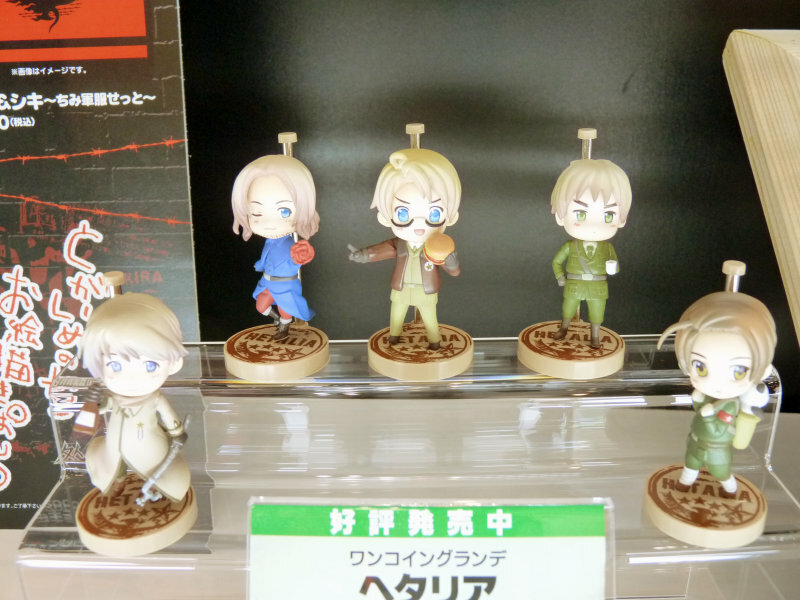 "One Coin Grande Figure Collection: Hetalia", 714 yen (approx. 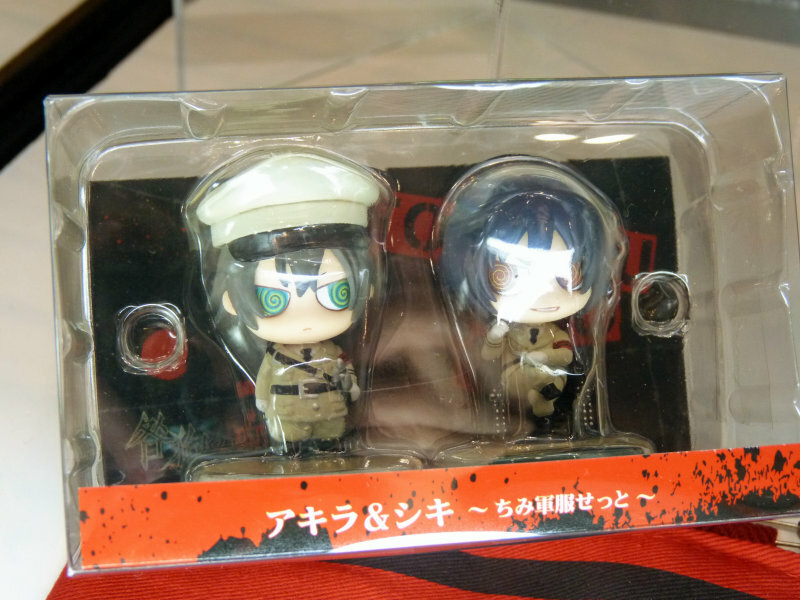 $8.20) each. "One Coin Grande Figure Collection: Hetalia Vol. 2" to come out in November, 2010. 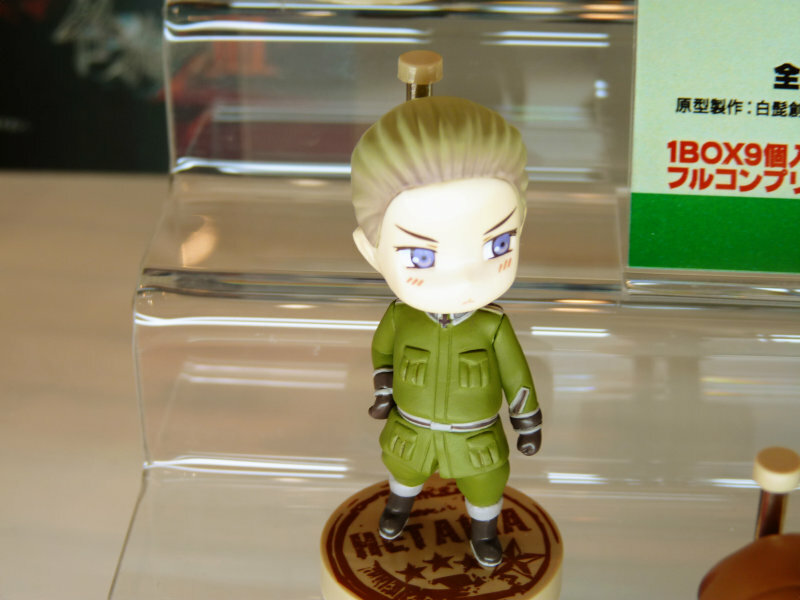 Hungary is a rare female character. 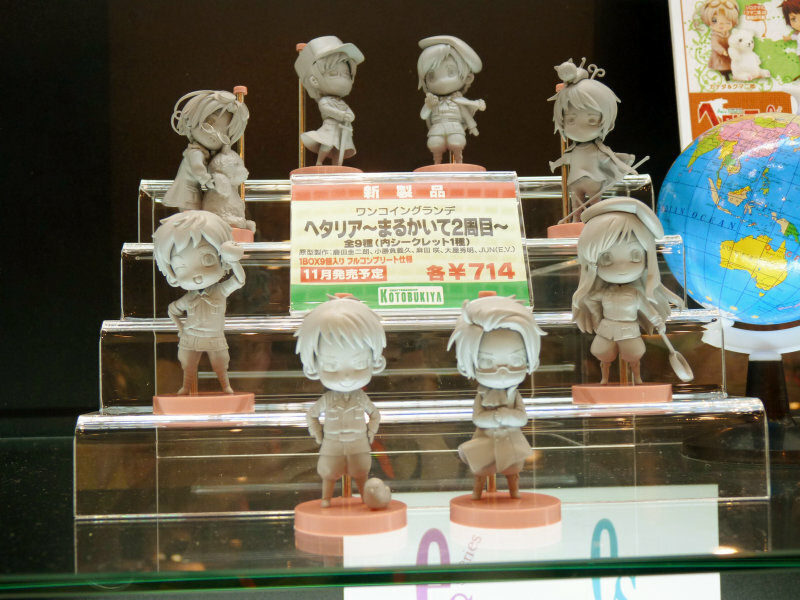 The lineup includes Hungary, Austria, Prussia, Spain, Canada, Greece, Sweden and Finland. 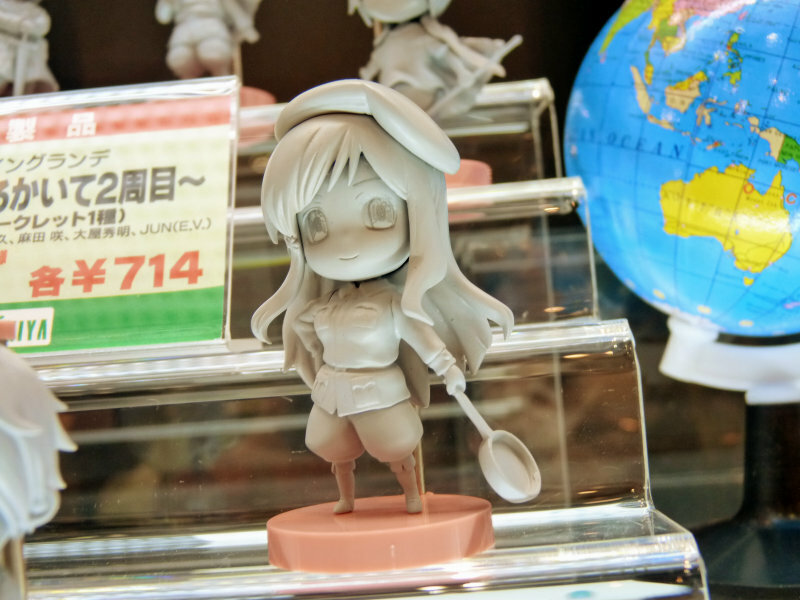 The final product will be coloured. 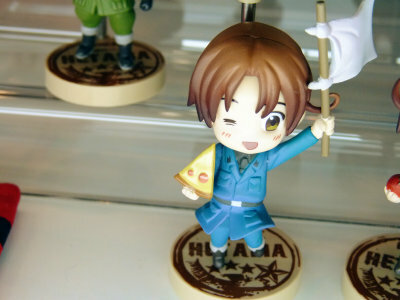 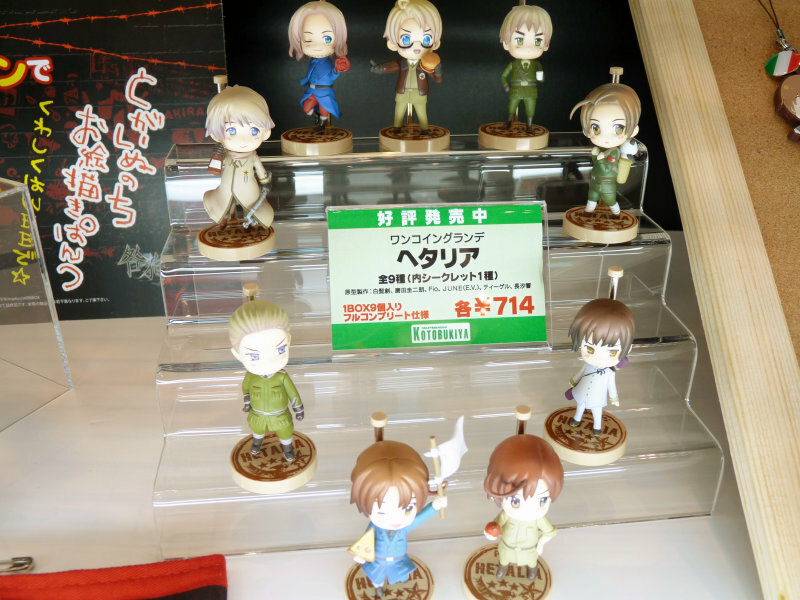 "Rubber Charm Collection: Hetalia", to be released within July. 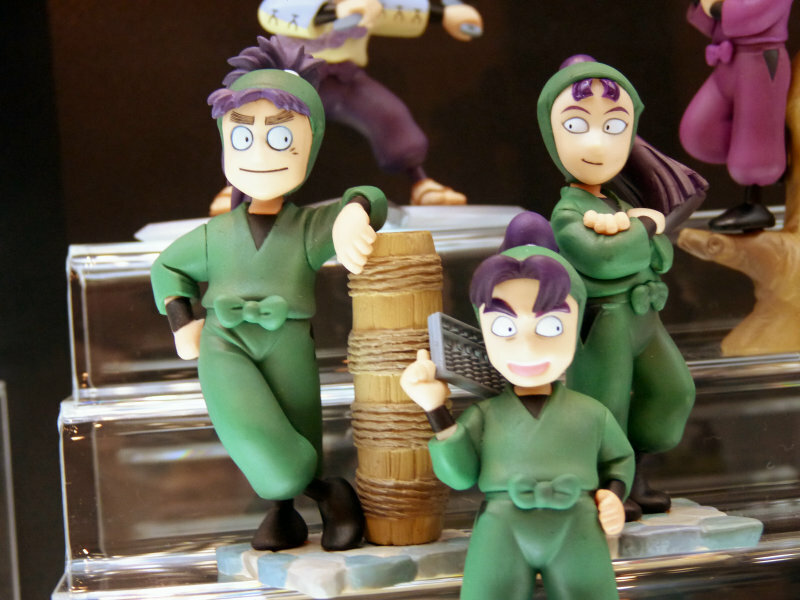 "One Coin Grande Figure Collection: Nintama Rantaro", 714 yen ($8.20) each. 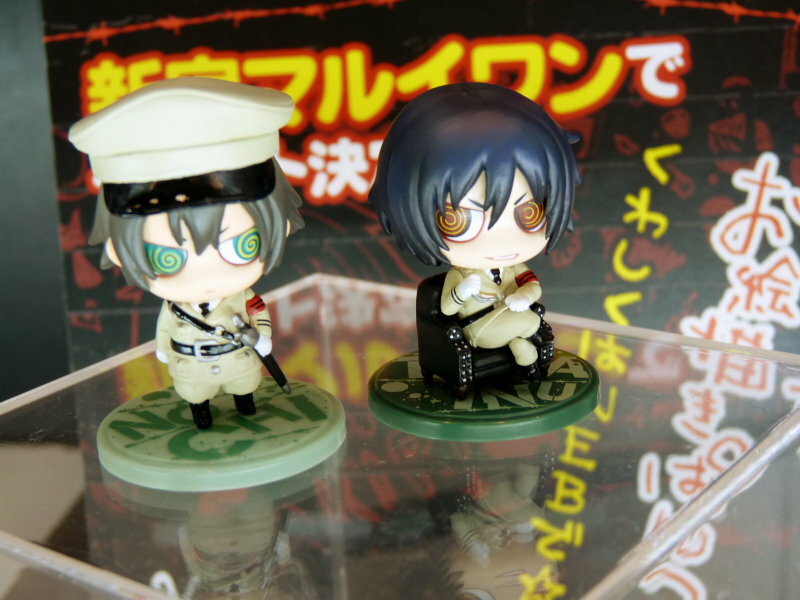 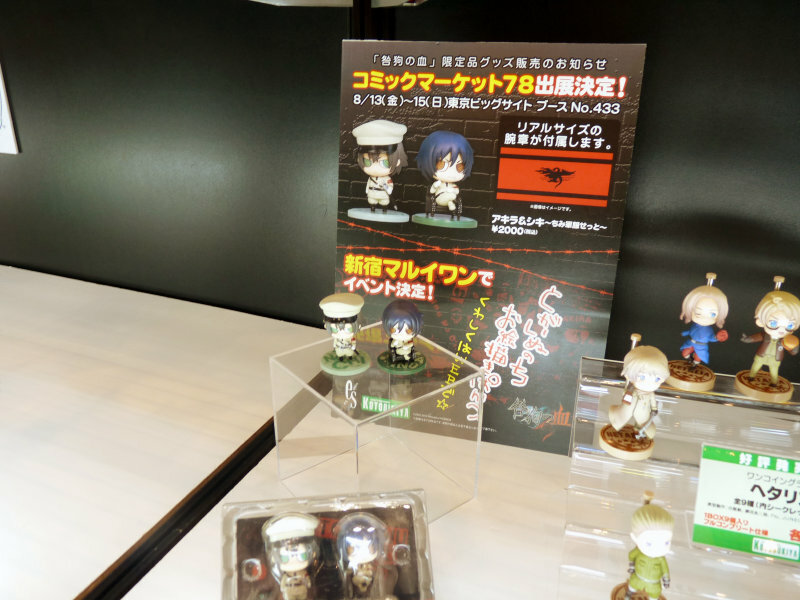 "One Coin Figure Series: Togainu no Chi Akira & Shiki Millitary Uniform Set", 2,000 yen ($23). 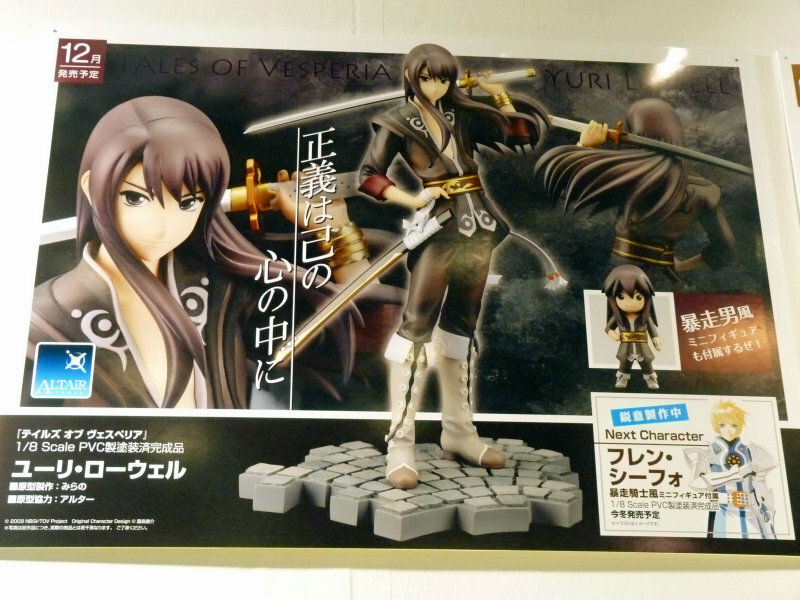 "Hobby Channel Girl's Club Limited Edition One Coin Grande Hakuouki Shinsengumi Kitan Rasetsu ver." 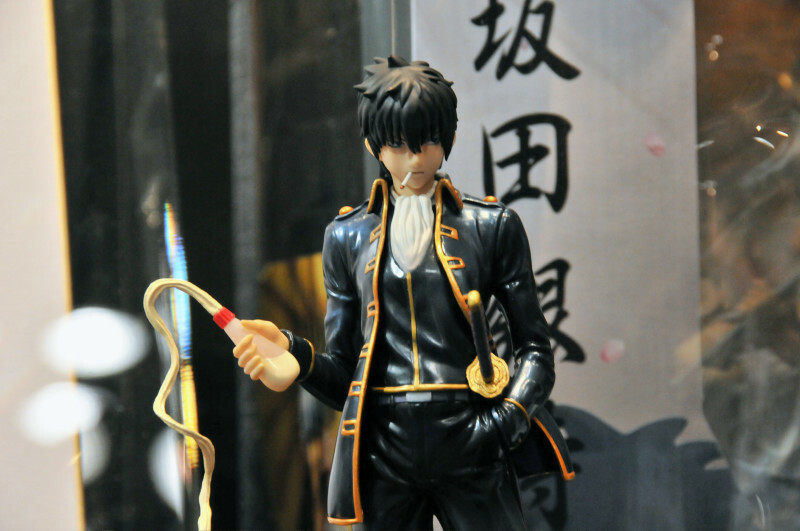 Available exclusively via Hobby Channel for 2,520 yen ($29) + 1,000 yen ($11.50) for shipping and handling. 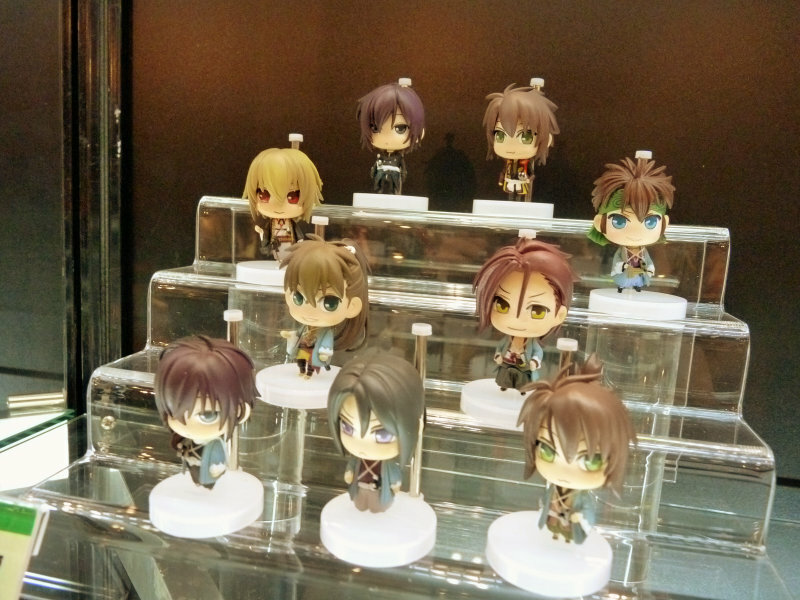 "One Coin Grande Figure Collection: Hakuouki Shinsengumi Kitan", 630 yen ($7.24) each, due October, 2010. 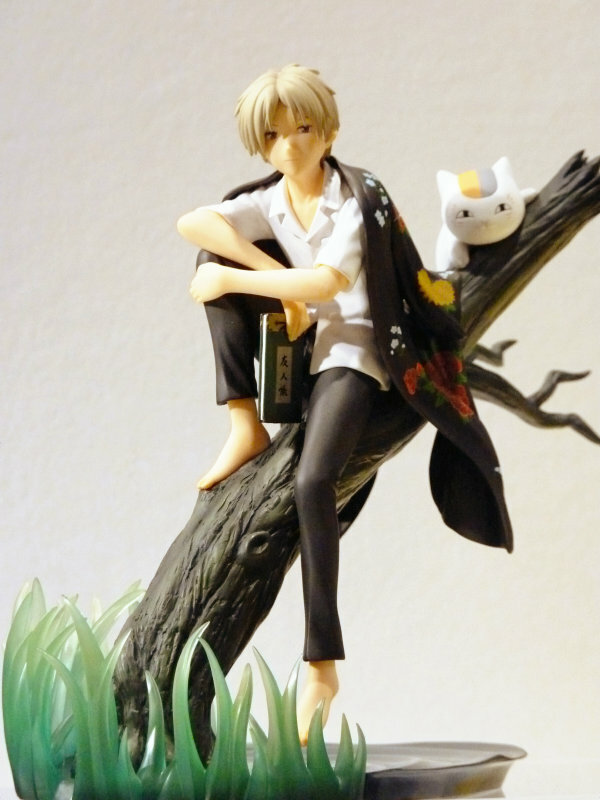 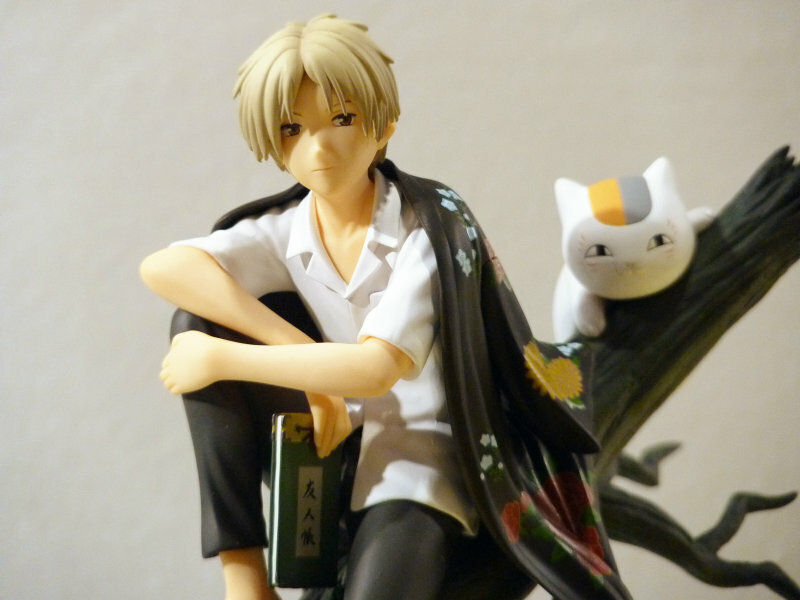 "1/8 Scale Painted and Finished PVC Takashi Natsume" 7,140 yen ($82) from Natsume's Book of Friends, on display at ALTER's booth. 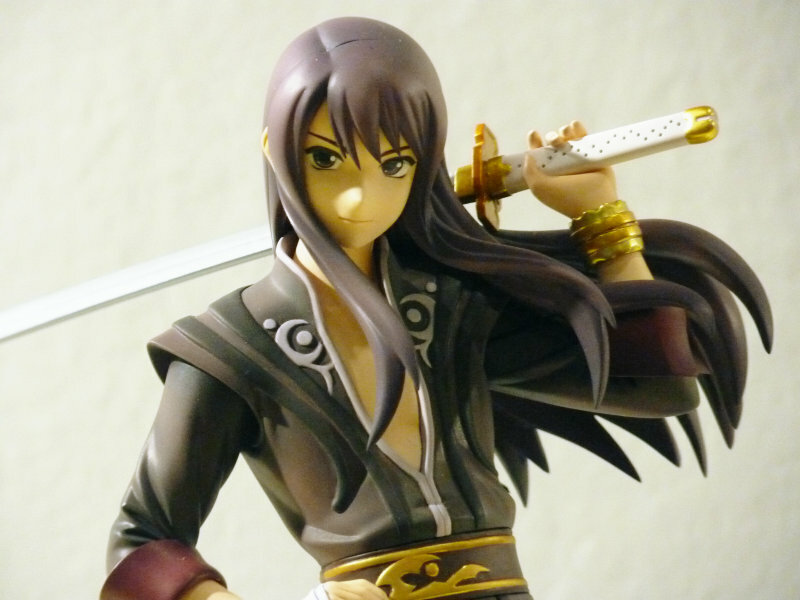 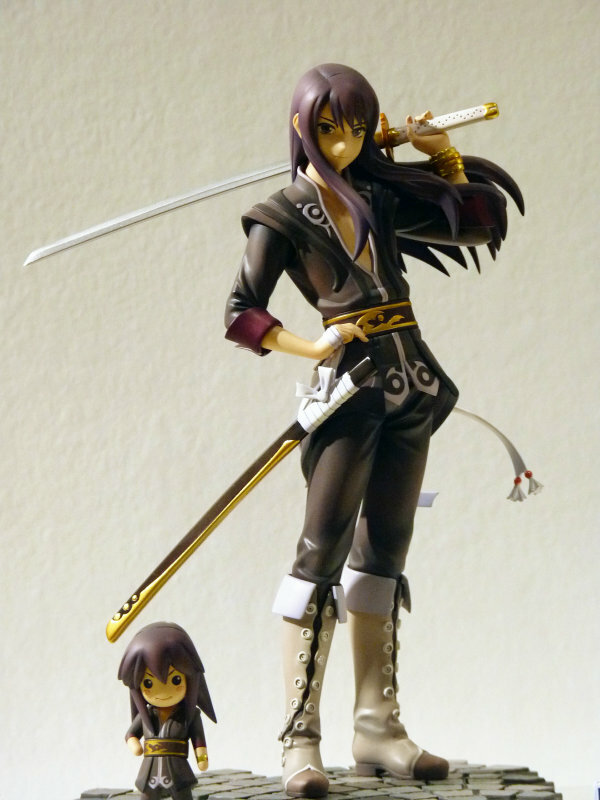 "1/8 Scale Painted and Finished PVC Yuri Lowell" from Tales of Vesperia, to be released in December, 2010 for 7,140 yen ($82), also by ALTER. 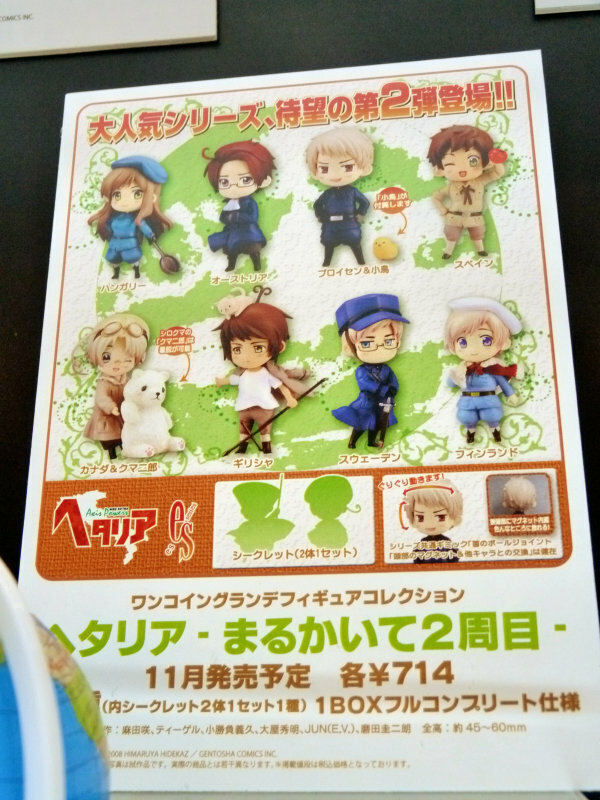 Flynn Scifo will also be released this winter, according to the flyer. 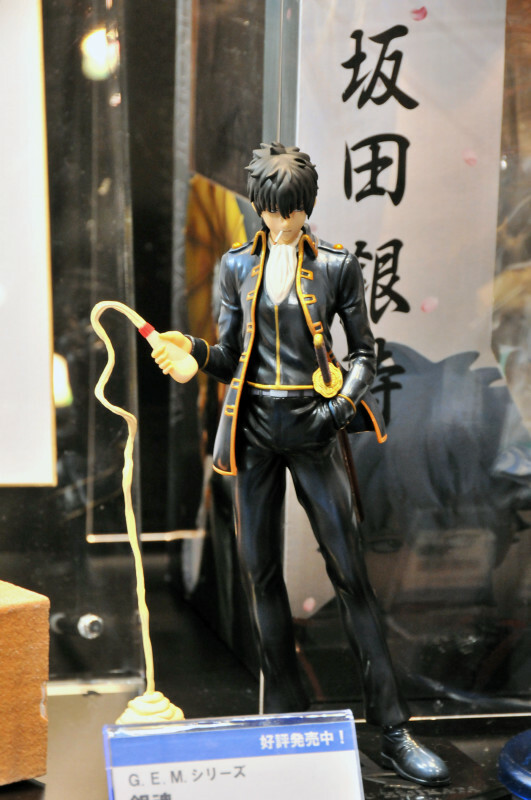 "1/8 scale resin cast kit Okiku Furikabutte Ren Mihashi" by sculptor Nanademick. 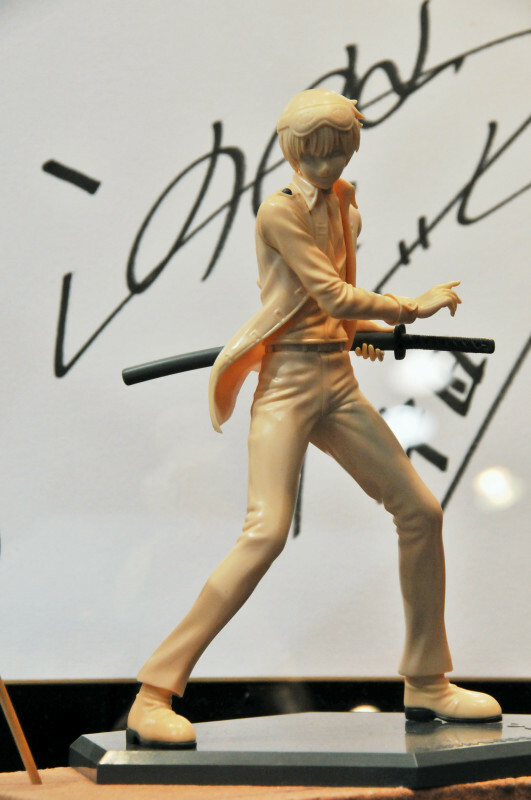 Although the curvy Headless Rider might look male-oriented, the anime Durarara!! 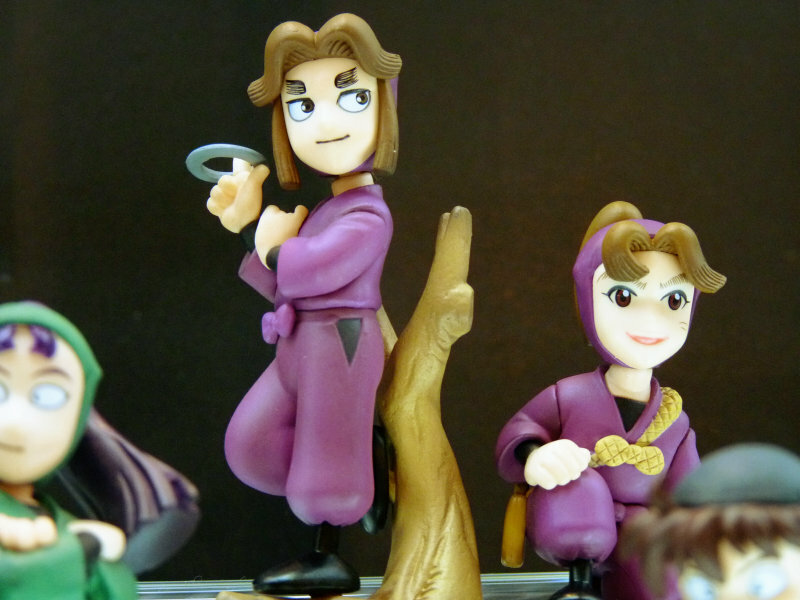 was hugely popular with girls so we decided to include this one in this post. 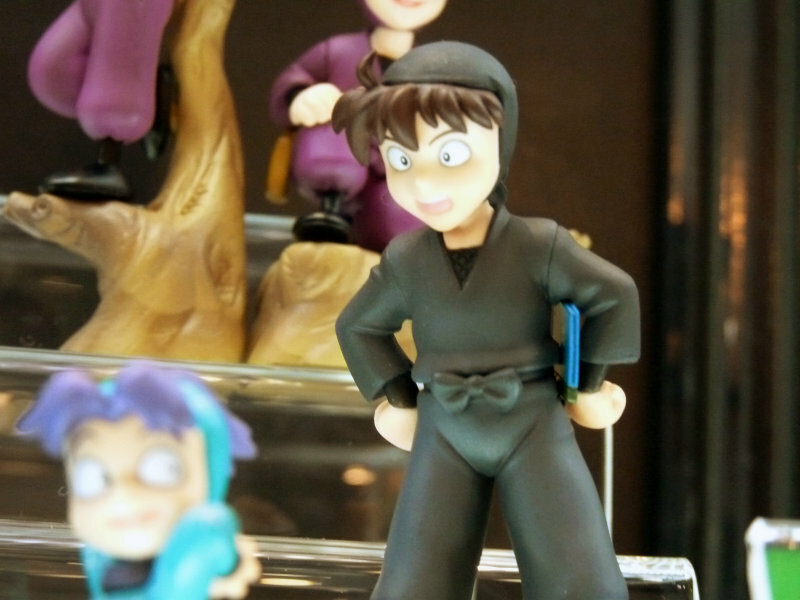 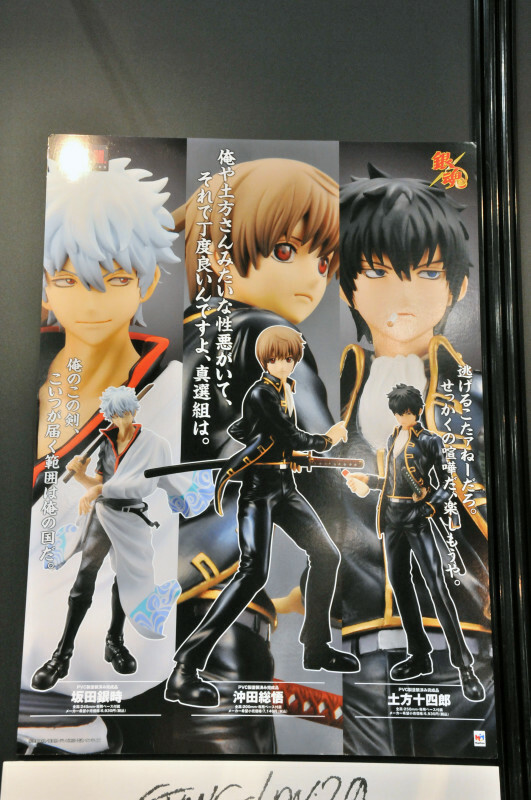 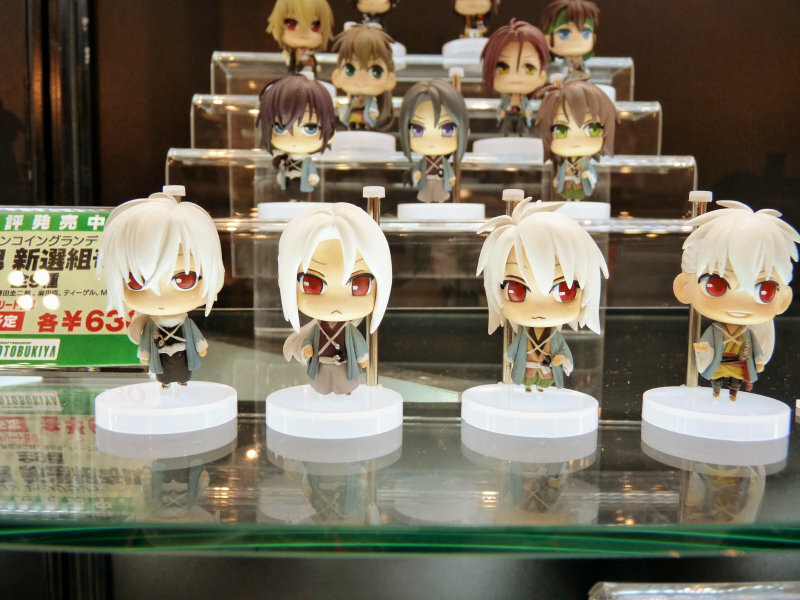 MegaHouse's booth featured Gintama products. 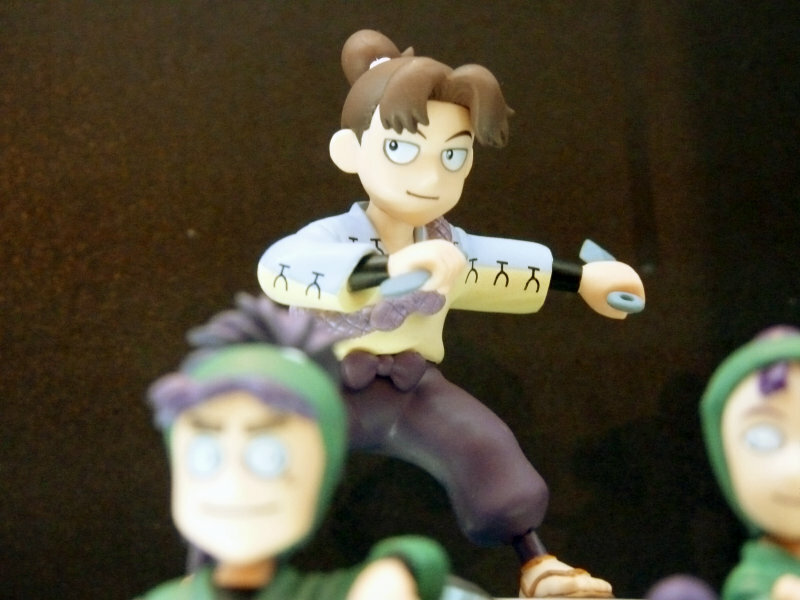 "G.E.M. 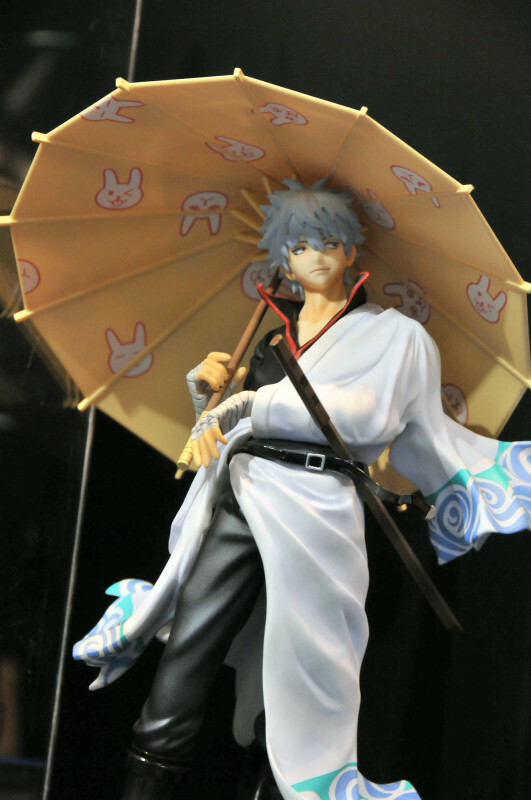 Series Gintama: Shinyaku Benizakura-Hen Gintoki Sakata", based on the movie. 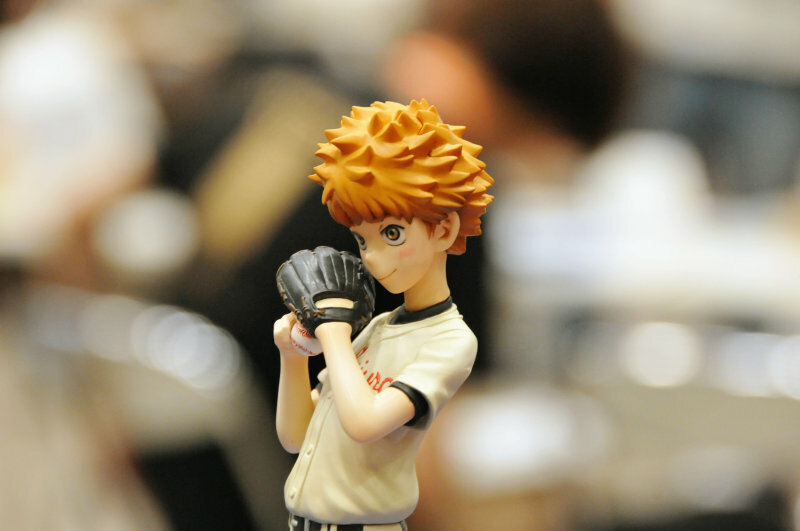 To be released this August for 8,295 yen ($102). 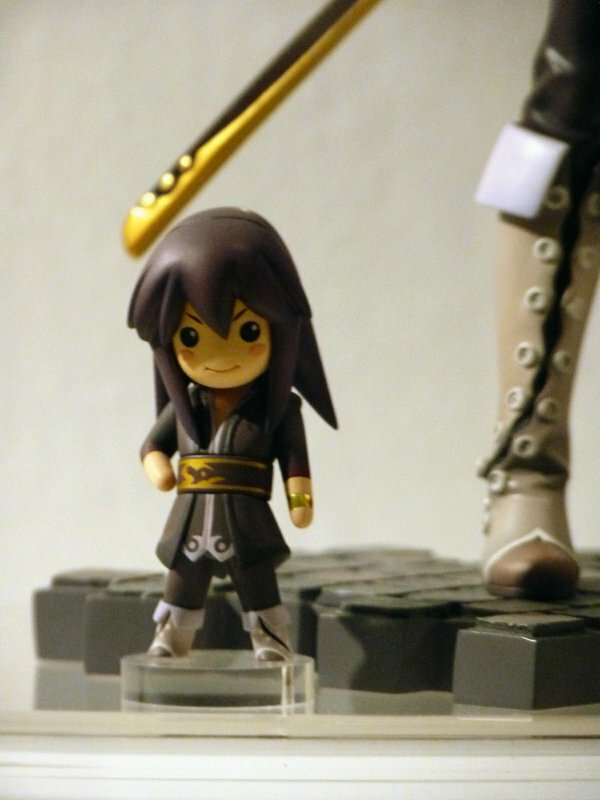 "G.E.M. 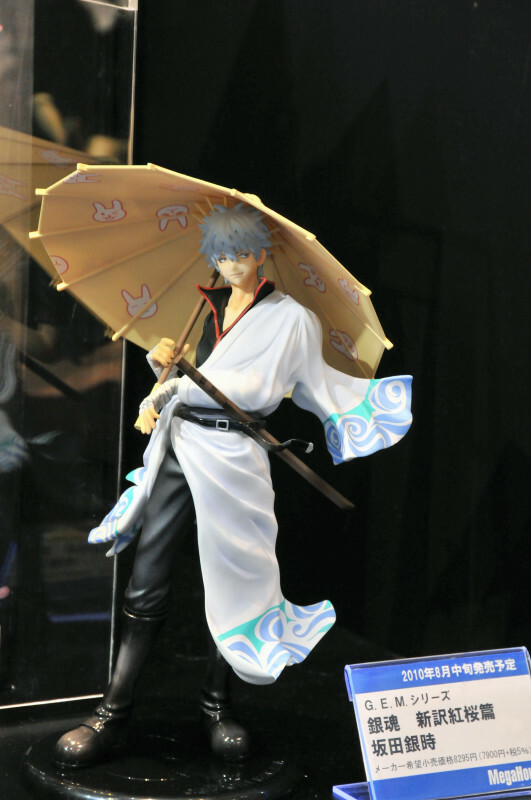 Series Gintama Gintoki Sakata" 6,930 yen ($79), now on sale. 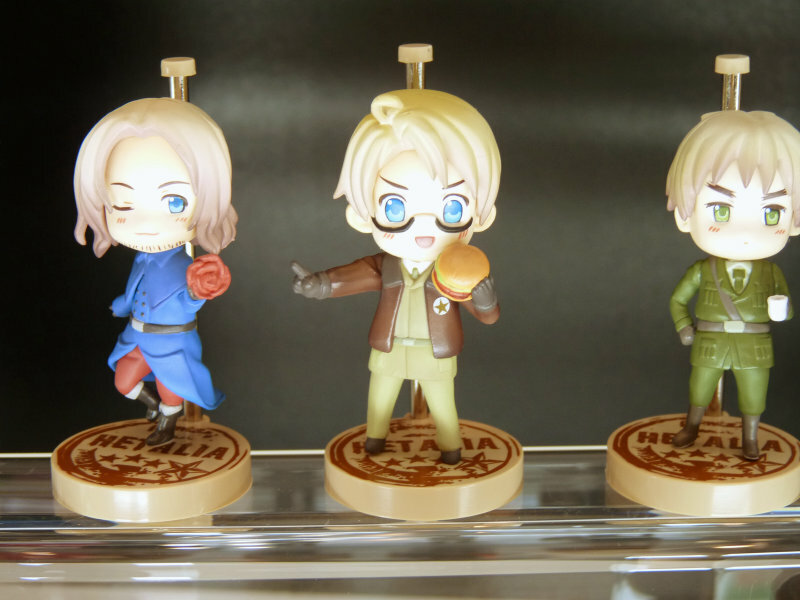 "G.E.M. 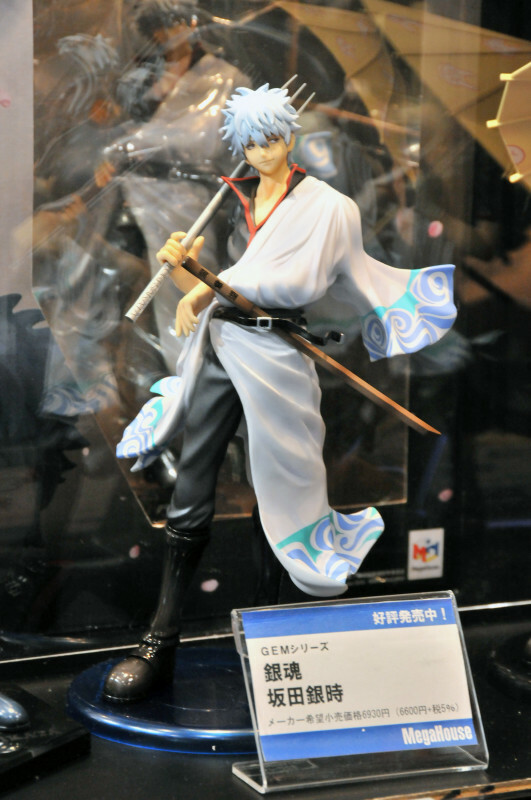 Series Gintama Toshiro Hijikata", 6,930 yen ($79).